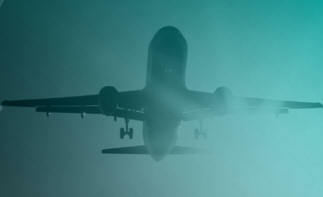 June 30, 2013 - The UK Civil Aviation Authority (CAA) has published a study of recent worldwide air accidents. The CAA said the findings of its Global Fatal Accident Review 2002-2011, will help it identify major safety issues and trends allowing it to develop key safety initiatives in coordination with UK airlines. The CAA’s Global Fatal Accident Review gives an overview of accidents involving large jet and turboprop aircraft conducting passenger and cargo operations. The analysis of a decade of worldwide air accidents, has revealed ‘loss of control’ to be the most prevalent type of accident. Common factors in loss of control type accidents include engine malfunctions and flight crew failure to recover from stalls, under speeds and over speeds. In publishing the report the CAA pointed out that the fatal accident rate for the European Union was approximately six times less than the worldwide average. During the ten year period, UK operated aircraft had no fatal accidents that met the dataset criteria. The report found there were a total of 250 worldwide fatal accidents, resulting in 7,148 fatalities during the ten year study period, equating to an average of one fatal accident and 28 fatalities every two weeks. Of these accidents, an average of 30 per cent of the aircraft’s occupants survived. A previous CAA study, covering the period 1997-2006, revealed 283 fatal accidents resulting in 8,599 fatalities, with a 31 per cent survival rate. The total number of flights flown during the 2002 to 2011 period was 317,658,933, giving an accident rate of 0.6 per million flights flown. This compared to 295,995,303 flights in the previous ten-year study, - an accident rate of 0.79 per million flights. • Nearly 40 per cent of all fatal accidents involved some kind of loss of control, making this the most frequent type of accident. • Over a third of all fatal accidents involved a post-crash fire; however this was always in conjunction with, or as a result of another consequence rather than in its own right. Fires in flight were far less common, accounting for five per cent of all fatal accidents. • Two-thirds of all fatal accidents involved at least one flight operations related causal factor (e.g. flight crew omission of action or inappropriate action). • Approximately 40 per cent of all fatal accidents involved at least one airworthiness related causal factor, which includes maintenance issues, system/component failures, engine failures and problems with aircraft design. As well as underpinning its existing Significant Seven safety risks, the causal factors identified in the report will inform future safety critical workstreams the CAA will engage in with the aviation industry.